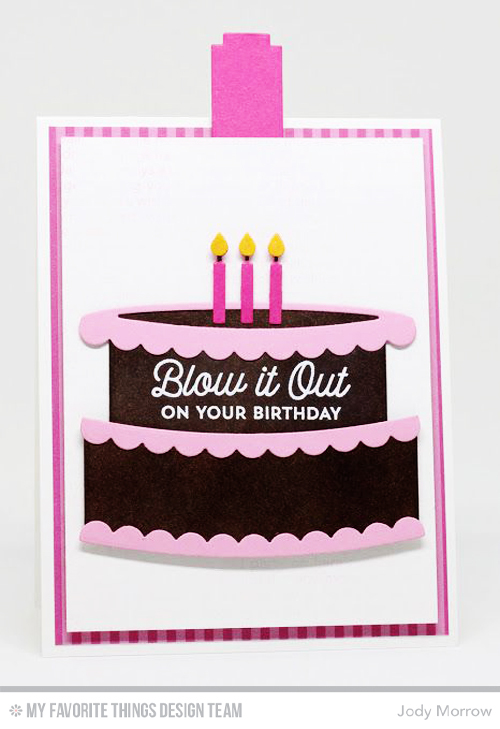 From pop-up elements and flop cards to slider channels and windows, adding an interactive feature to your cards imparts surprising movement that will absolutely delight your recipient. Our collection of Die-namics features several designs that makes achieving interactivity as easy as a simple pass through your die-cutting machine. Let's check out a few different means of including an interactive feature on your next card. To learn how Stephanie created this Interactive Farm Scene, watch below. For more tips and tricks, make sure to subscribe to our Youtube channel! The Interactive Birthday Cake features a slider element that allows you to conceal a hidden message on one tier of the cake - such a fun surprise! Baking a custom cake has never been easier. With five different shape options, our collection of Flop Card Die-namics will provide you with the perfect option for showcasing any image in your collection. 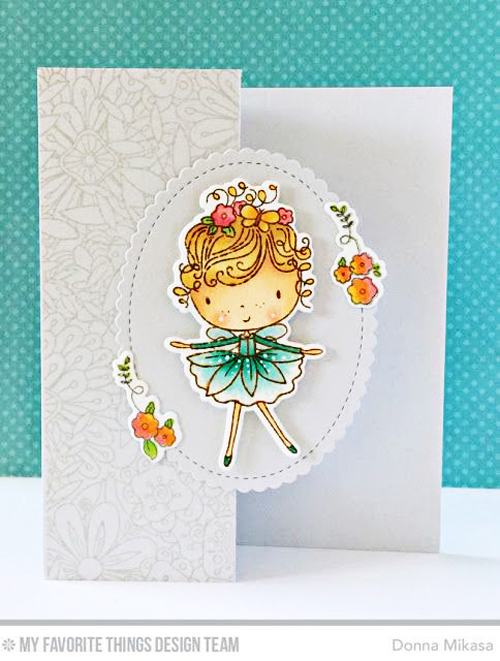 Donna's use of Beautiful Girl adds pure sweetness to this Oval flop panel. Easily add some rock and roll to your cards with the Circle Spinner Channels Die-namics. Slider channels are so versatile because depending on the number of sliders you adhere, you can create movement on a path, or add some spinning motion as well. The sky's the limit with these dynamic designs! Feeling inspired? Get moving - literally! Make sure to tag your next MFT project with #mftstamps - you might just be spotted!